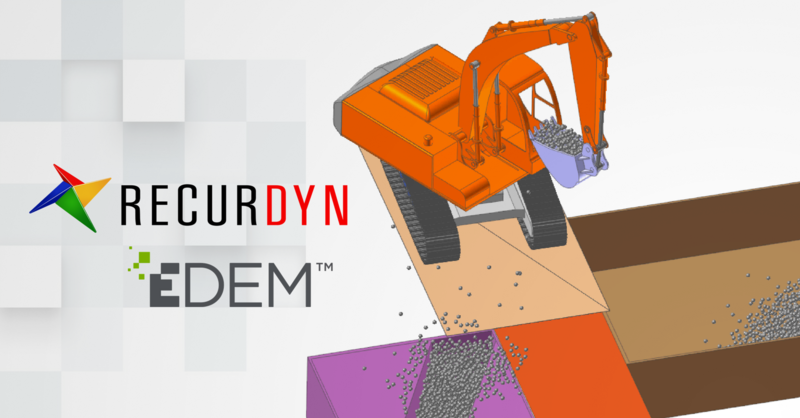 Edinburgh, Scotland, October 30, 2017 – EDEM, the bulk material simulation specialist, today announced the availability of a co-simulation solution between EDEM software and RecurDyn, a multi-body dynamics package from FunctionBay. 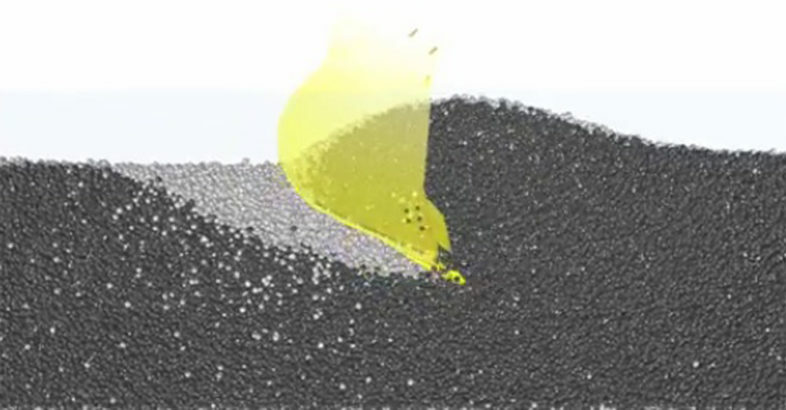 This solution enables engineers designing heavy equipment such as excavators, ploughs and off-road vehicles to introduce realistic bulk material behaviors to their multi-body dynamics simulations – offering unrivalled insight into how material loads are transferred throughout a mechanical system and providing key insights into equipment-material interactions. 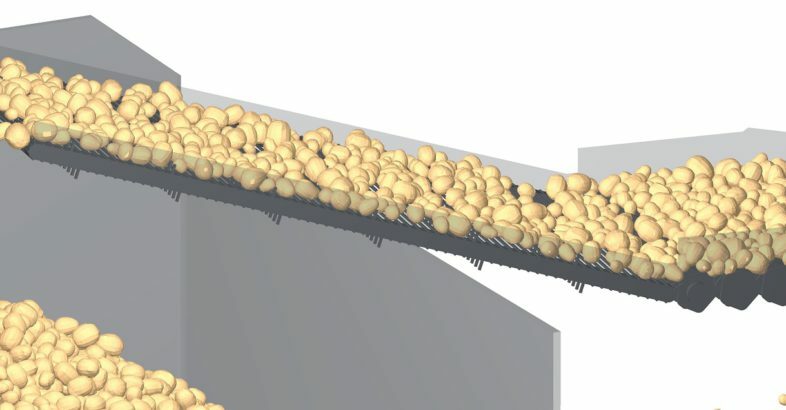 Edinburgh, Scotland, 16 October, 2017 – EDEM, the Discrete Element Method (DEM) specialist and market leader, today announced the availability of a coupling application with Dassault Systèmes enabling engineers to include realistic bulk material loads in their Finite Element Analysis. 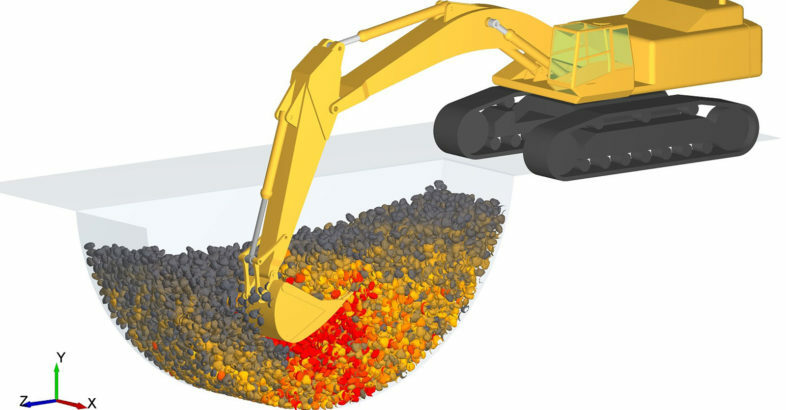 Using EDEM software technology in combination with Dassault Systèmes’ SIMULIA Abaqus application provides engineers designing bulk materials handling equipment such as front-end loaders, truck bodies and bulldozers with a detailed understanding of the impact materials have on their designs. October 2, 2017, Edinburgh, Scotland – EDEM, the Discrete Element Method (DEM) specialist and market leader, today released the latest version of its flagship software. EDEM 2018 focuses on productivity and performance and includes a range of new features and enhancements enabling users to speed-up their workflow all the way from setup to processing and analysis of simulations. Integration with other CAE tools is also a key theme of this release with the introduction of new coupling solutions with Finite Element Analysis software Abaqus from Dassault Systemes – SIMULIA and Multi-body Dynamics tool RecurDyn from FunctionBay. Here are some of the highlights of EDEM 2018. 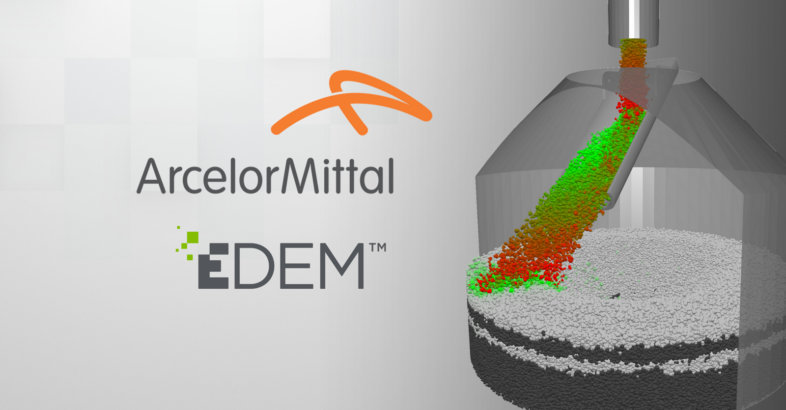 Edinburgh, Scotland – January 11, 2017 – EDEM, the Discrete Element Method (DEM) specialist and market leader, is pleased to announce that ArcelorMittal, the largest steel producing company in the world, has invested in EDEM software. 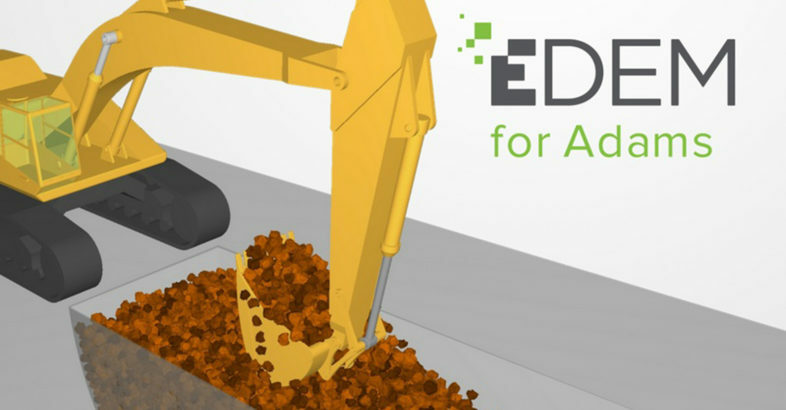 EDEM is high-performance Discrete Element Method (DEM) software for bulk material flow simulation. In this video EDEM is coupled with Multibody Dynamics (MBD) software Adams from MSC Software. The EDEM-MBD coupling is used in this example to define the motion of the excavator as it digs through different materials. Force and spillage analysis can be performed for different operating conditions. Using the prescribed motion represents an ideal digging scenario and can be used to estimate the power requirements on the actuators. EDEM is high-performance Discrete Element Method (DEM) software for bulk material flow simulation. 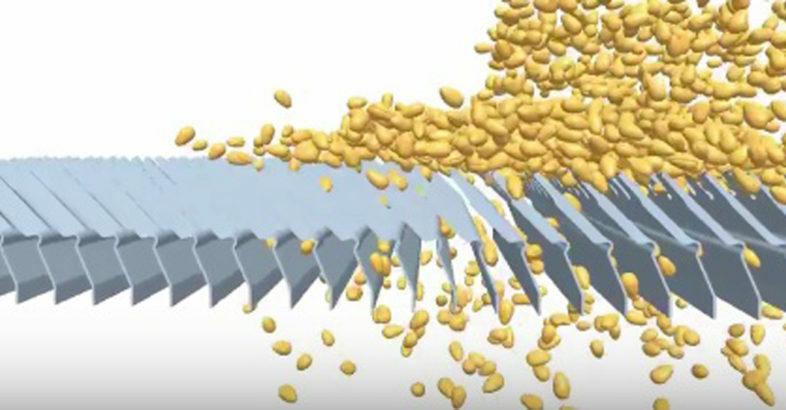 EDEM capabilities allow for simulation of various processes inside a combine harvester. Those, for example, include grain handling with the screw auger systems or grain sieving. Bonded contacts and EDEM Application Programming Interface also enable modeling of flexible straws to analyze their behavior in straw walkers, cutting heads and other fragments of a combine.